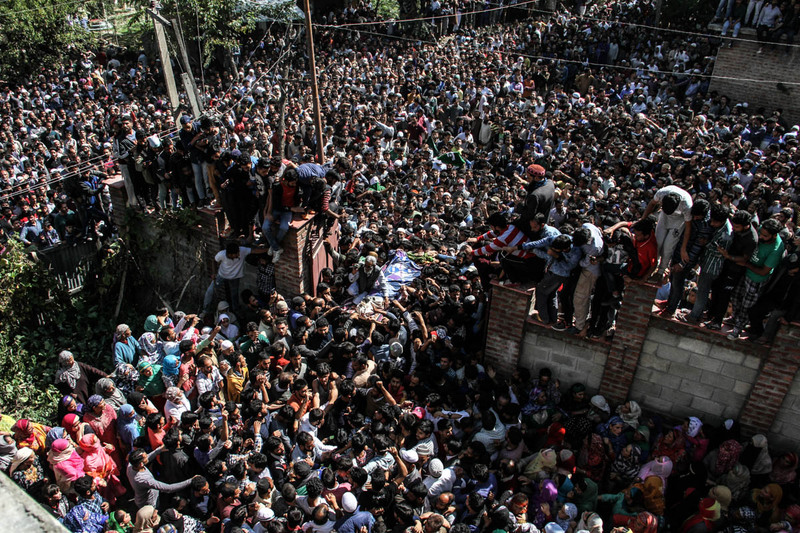 More and more ordinary Kashmiris come out in support of armed rebels as violence escalates and death toll rises. 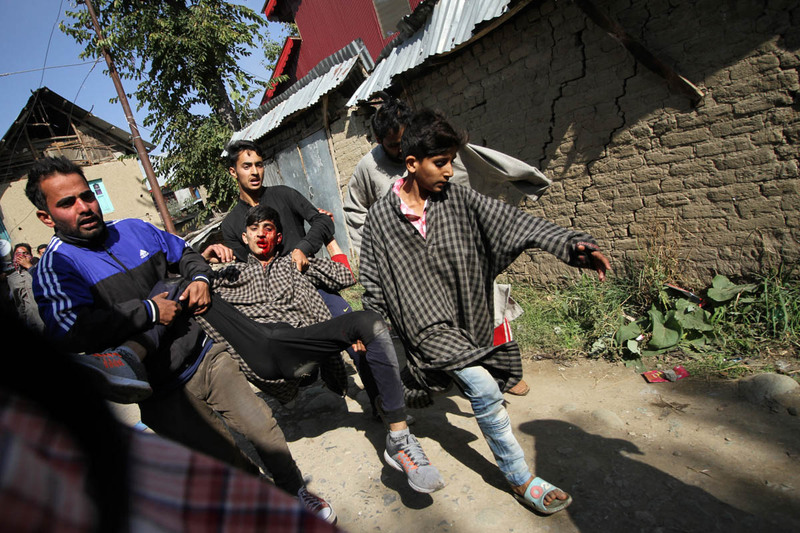 Pulwama, Indian-administered Kashmir – Encounters, killings, stone pelting and protests have become a daily affair in India-administered Kashmir, with the toll on human lives spiking in past two years. 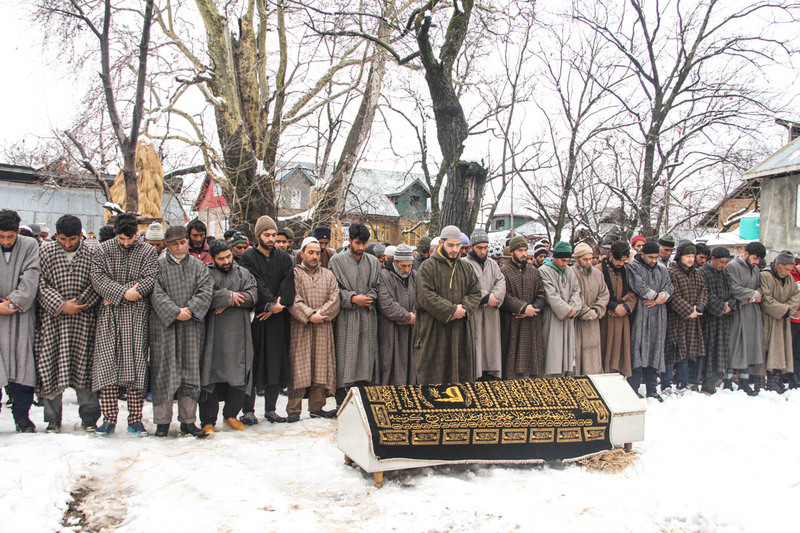 According to local reports, at least 50 people were killed in the last month, including 28 rebels,14 civilians and eight Indian security personnel. More and more young boys join the armed resistance against the Indian rule, with some reports saying at least 250 youth have turned rebels since the summer of 2016. Many believe it was Hizbul Mujahideen rebel Burhan Wani’s killing in July 2016 that triggered a wave of protests and prompted young boys to pick up a gun. 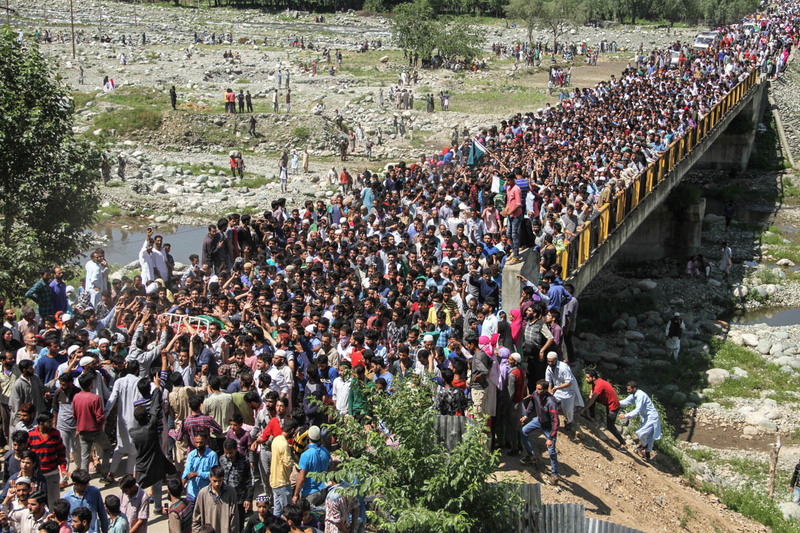 Wani’s killing resulted in massive instability and violence in Kashmir, which is claimed by both India and Pakistan in its entirety. The two countries have fought two wars over the Himalayan territory so far. Saturday also marked 71 years of the Indian army entering Kashmir in 1947, a day both Kashmiris and Pakistan observe as a “Black Day”. 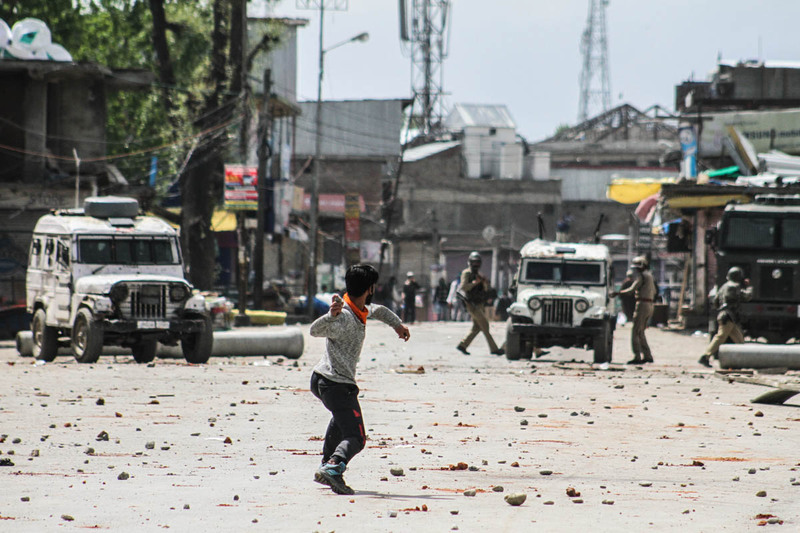 “In the early nineties, Kashmir had a new relationship with guns, which has now matured as even educated boys are now arming themselves,” Sheikh Showkat Hussain, professor of political science at Central University of Kashmir, told Al Jazeera. He said ordinary Kashmiris now support the armed rebels with “more conviction” which has made the resistance to Indian rule “stronger and more violent”. 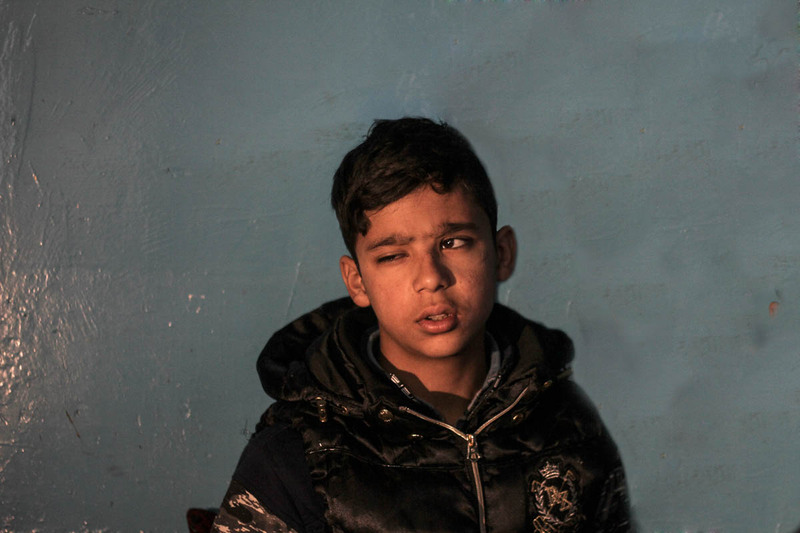 Hussain’s views echo on the ground as gun battles between rebels and security forces become more frequent. 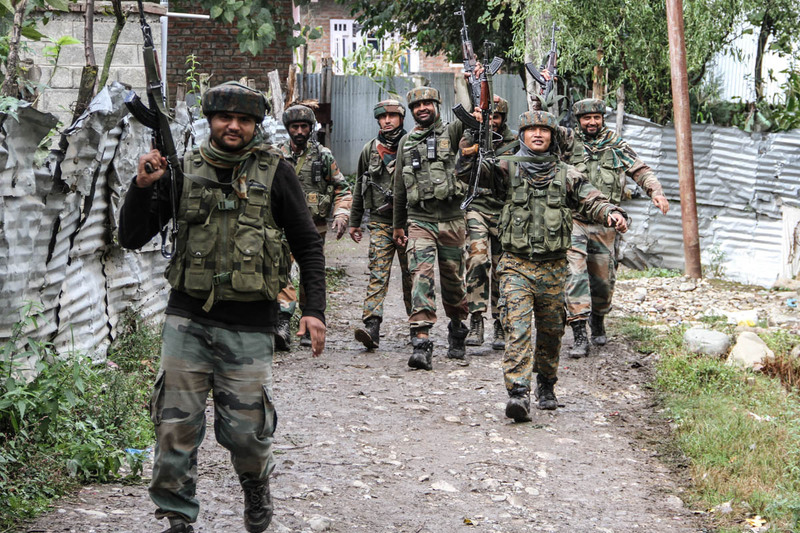 Instances of people surrounding such encounter sites and throwing stones on Indian troops to allow the trapped rebels to escape have also increased. Rebels, on the other hand, threaten local policemen, who are also mostly Kashmiris, of grave consequences if they don’t quit their jobs. 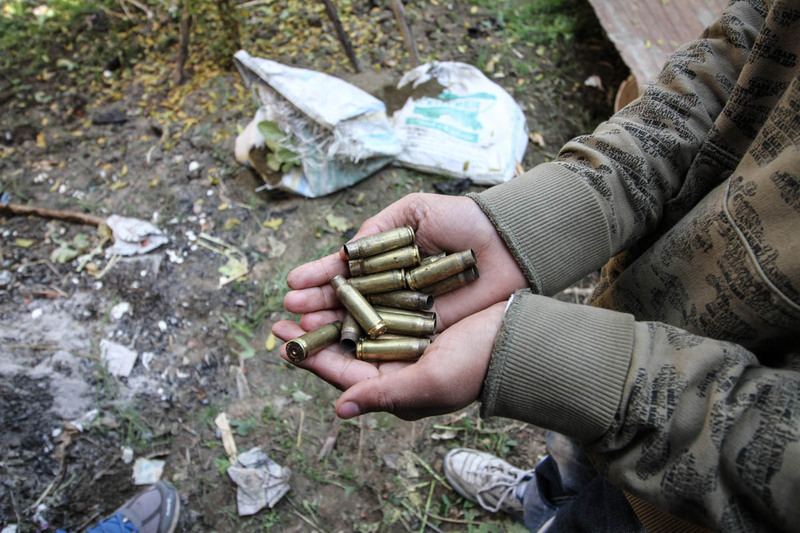 Nearly 40 policemen have been killed by rebels this year. Showkat A Motta, the editor of the magazine, rejected the police’s claim that they would keep him in detention for a day and release him in the evening. 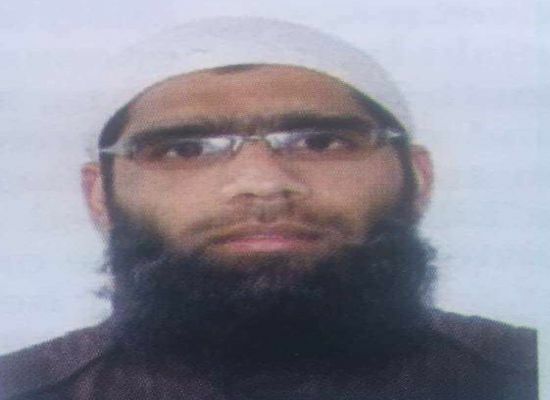 Tariq Ali Mir, Sultan’s colleague, posted took to Facebook and said the police questioned Aasif for his cover story in the previous issue of the magazine on slain militant commander Burhan Wani and his ideology. Tariq added that the police also took away Sultan’s laptop, cell phones and other documents during the raid. He said the Kashmir Narrator has taken up the issue with international media watchdogs such as the IFJ and the CPJ. For more information and media requests, please contact Rupert Colville – + 41 22 917 9767 / rcolville@ohchr.org or Liz Throssell – + 41 22 917 9466 / ethrossell@ohchr.org. Shujaat Bukhari is the editor of the newspaper ‘Rising Kashmir’ and was given police protection since an attack on him in 2000. 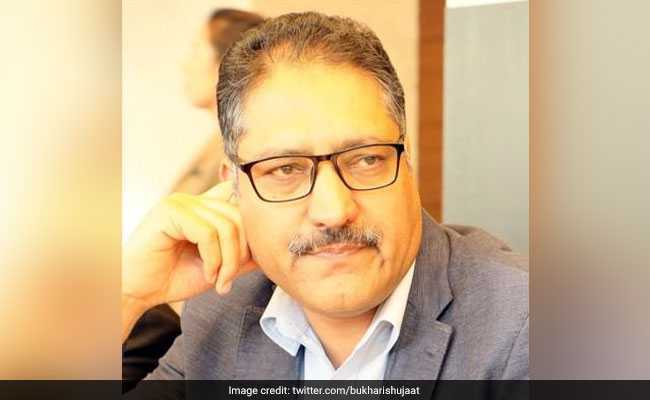 Shujaat Bukhari was shot by unidentified gunmen in Srinagar. 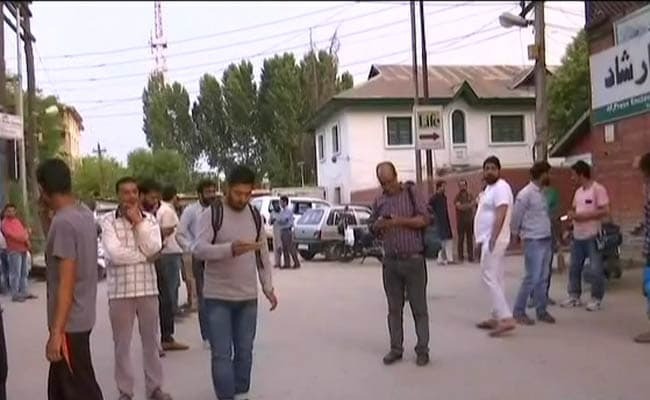 SRINAGAR: Shujaat Bukhari, the editor of Rising Kashmir was attacked in Press Colony in the city, just outside his office. He was reportedly hit by multiple bullets. The journalist and his two security guards have been injured and taken to hospital. This is the first attack on a journalist in a long time in Kashmir. Shujaat Bukhari was shot while coming out of his office in the heart of Srinagar. “He is a dear friend and worked with us for more than two decades. He has been critically injured,” said NDTV’s Nazir Masoodi. Shujaat Bukhari was given police protection since an attack on him in 2000. On 15 March 1929, Sir Albino Banerjee, a Bengali Christen, who for two years had been Foreign and Political Minister of Maharaja Hari Singh had observed that the rulers had been treating “Mohammadan population” worst than “cattle.” Ninety years later, when the idea of governance in the world has undergone a sea change,andcolonialism has crashed themindset of those in the corridors of “hegemonic authority” in the state has not changed. That the ‘ruling elite’ even in the second decade of the twenty-first century considered the people of Kashmir as wild quadrupeds weremanifest in 2010when for silencing the dissenting youth it introduced guns meant for hunting of animals. And allowed troops to use the same with impunity in the state.Ironically, the pellet gun with its single cartridge spewing about five hundred lead-pellets on a finger touch was added to the deadly arsenal of the state as a ‘non-lethal weapon’by the ‘central government’.Of course with the consentof Omar Abdullah thethen chief of the unified military command in the state. The 5.5 mm wadcutter, domed (round nose), hollow point and pointed lead pellets are deadlier than those used in air guns for animals. Intriguingly, Kashmir is the only place where this weapon is used for controlling thecivilian protest. 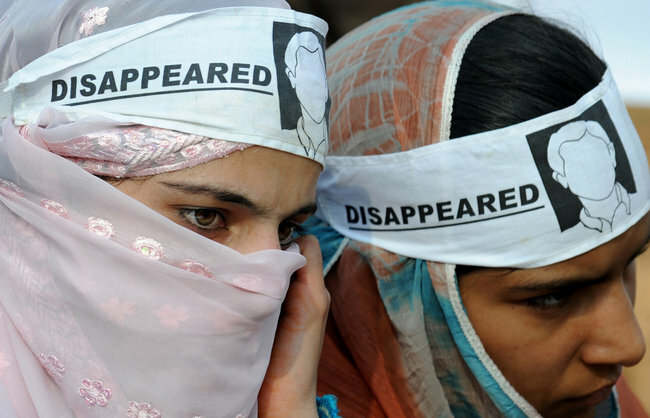 The uprisings during the summers of 2008, 2009 and 2010, had convinced even a section of leadership in India like P. Chidambaram, the then Home Minister that the laws like the AFSPA, seen as the darkest of darklaws by people of the state need tobe withdrawn. Nevertheless, the lessons learned that the coercive tactics and brutish handling of the resistance instead of improving the situations complicate itfurther, andthe dialogue was the only way forwardof resolving the problem by adoptinga policy of denying even an inch of space to the voices of the dissent in the statewere unlearned after 2014. Instead of instilling some faith in youth through hate media blitzby some televisions channels they have been and are being driven to the wall. For past three years, the UN Human Rights Commission has been showing concern about the human rights situation in the state and asking Islamabad and New Delhi for providing unbridled access to the state on both the sidesof the transitory dividing line. 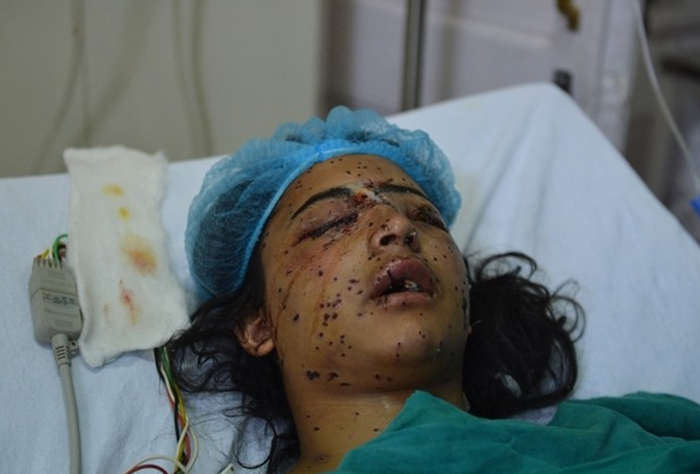 Interestingly, despite, voices raised in various international forums against the use of pellet gun on civilian protestors and blinding of children as young as four years, boys and girls nightmares of ‘epidemic of dead-eyes’ continue to haunt people. In fact, the ground situation during past three years has not changed. Roughlysixty to seventy peoplewerehit with pellets, many in the face and the chest in past twenty days in April only. Hardly, there is a day when stories with headings like “Kashmir’s many Inshas and their dark, shattered lives” or “Kashmir pellet injuries bring back memories of 2016” are not reported in the newspapers. 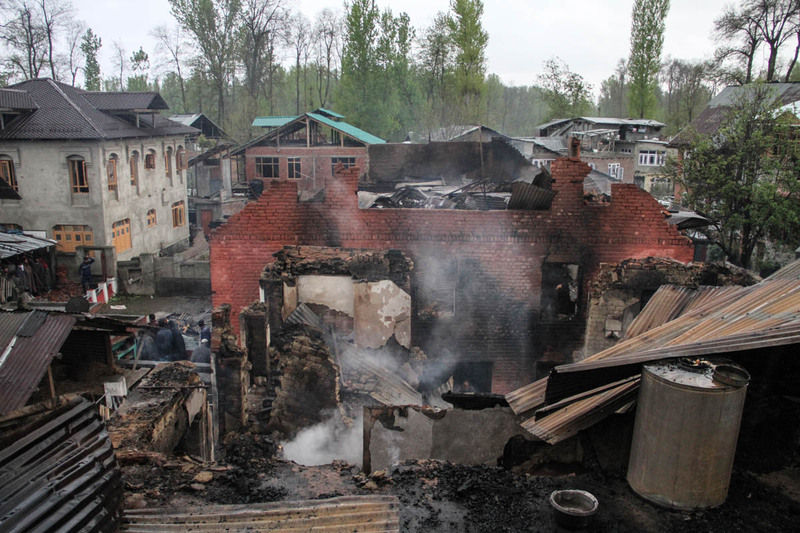 New Delhi, despite having assured abandoning the use of the pellet has not so far responded to the clarion calls from international human rights organizations. Troops continue to empty shotguns on juvenile protestors as shooting ducks. In this tormenting bizarre scenario some days back a word of experience was distinctly visible in the statement of Army Chief, candidly saying that not the gun but ‘dialogue’ was a way forward. It is high time, for the present dispensation in New Delhi to pick up the word of experience and make a beginning for initiating a dialogue with all the internationally recognized contestingparties to the Dispute by revoking the AFSPA and retreating the pellet gun. Every year, the world commemorates the victims of Haymarket affair that took place on Tuesday, May 4, 1886, at Haymarket Square in Chicago, by observing May 1st as International Workers’ Day in their memory; albeit in Canada & US, 1st September is chosen as Workers’ Day. On that fateful day, the workers had gathered peacefully to demonstrate & advocate for better working conditions. But, how many in the world know that Haymarket affair was not the first labour agitation against the exploitation of working class in the labour history of the world. Setting the records correct, it was precisely 29th April, 1865 when Kashmir’s weavers, locally known as ‘Shawl Baufs’, had hit the streets of Srinagar in protest against the high taxes that were levied upon them by the Dogra despots. 1. Before coming to that tragic & fateful day in the labour history of the world, the appalling conditions under which the Kashmiri weavers & artisans worked would not be out of place to a mention. Under the Dogra rulers ‘system of taxation, the barest margin of subsistence was allowed to the Muslim Kashmiri workers. The production of silk, saffron, paper, tobacco, wine and salt was a State monopoly. An ad valorem duty of 85% was levied on all woolen manufacture. 2. Under these pitiable working conditions, the shawl weaver could, thus, hardly earn 7 or 8 chilki rupees per month, out of which he had to pay five chilkies as tax and had to live on remaining 2 or 3 chilkies, only 3., by buying singara (water chestnuts) for feeding his family. 4. 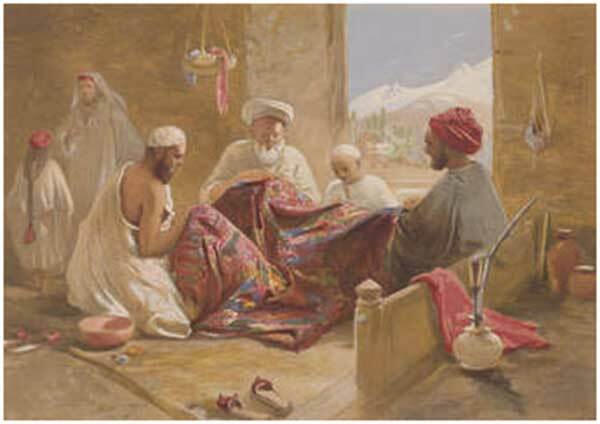 The shawl weavers were allowed neither to leave Kashmir nor change their employment, so that they were nearly in the position of slaves. 5. There was fear with the Dogra ruler that migration by the weavers to other State would “reduce his revenue.” 6. But, still, thousands of shawl weavers, escaping cruel clutches of Dogra monarch’s frontier guards, had made their way to British Indian Punjab. 7. The weavers worked under the supervision of a most notorious taxation department of the Dogra rulers which was called Dagshalli that would arbitrarily collect exorbitant taxes for the tyrant ruler and regulate their work with factory owner or proprietor. In case, a weaver left the work, the Dagshalli through the Dogra soldiers would bring his wife, children & parents before them who would imprison them forthe weaver’s escape &, otherwise even, for his consequential failure to pay such exorbitant Dagshallitaxes to the ruler through the factory-owner. 8. The Dagshalli department was purchased by a wealthy Kashmiri Pandit, Raj Kak Dhar, under a contract with the Dogra ruler for rupees 20 lakhs. This had left Raj Kak Dhar entirely free to realise this amount through arbitrarily fixed tax rates of the ruler by employing brute force of Dogra soldiers. 9. 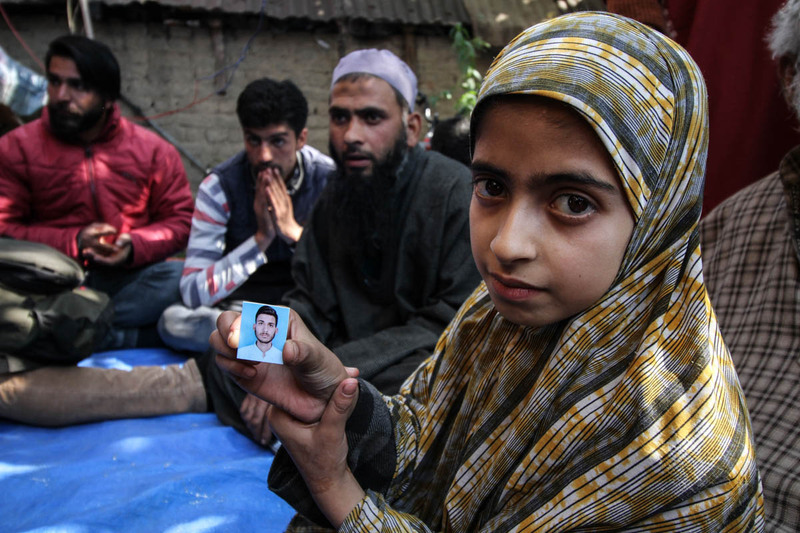 Now coming back to that sad day of Kashmir’s tragic history. The weavers on that fateful day of 29thApril, 1865 peacefully took out a procession that marched to the ground [maidan] of Zadagar, Srinagar, protesting against such break-breaking taxation, nominal wages, miserable working conditions & ban on migrating to neighbouring State of Punjab for comparatively better wages. Meanwhile, Raj Kak Dhar unnerved by the protest of the impoverished unarmed weavers misinformed Diwan of Dogra administration who immediately dispatched Dogra Army under the command of Col. Bije Singh who pushed the unarmed hungry multitude towards the narrow Haji Pather Bridge and in the stampede 28 poor unarmed weavers were drowned in the stream and scores injured. 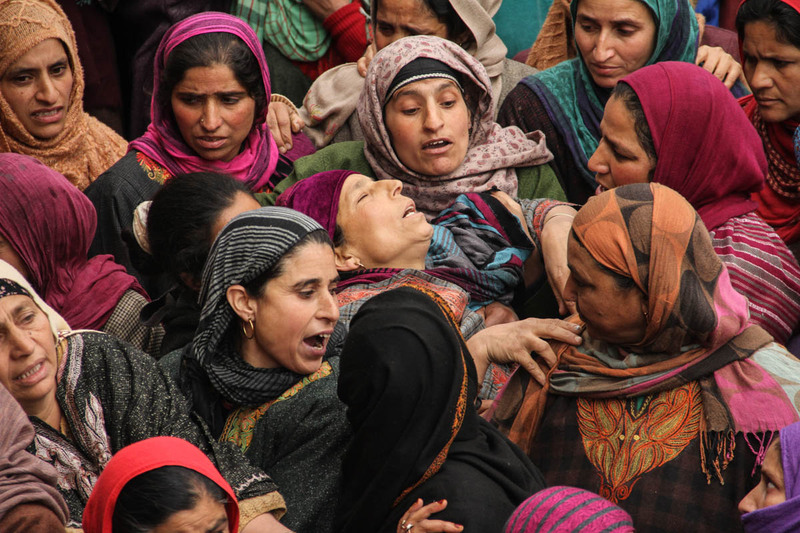 Next day the dead bodies were recovered from the stream and with a declared intention to seek the tyrant ruler’s justice, the dead bodies were paraded by the weavers and other Kashmiris, whose sympathy was naturally attracted by mayhem, in a procession to place them before him. They were stopped by the Dogra army in the way & not allowed to proceed to meet the ruler. The organizers of the procession were arrested, tortured, jailed & even flogged. 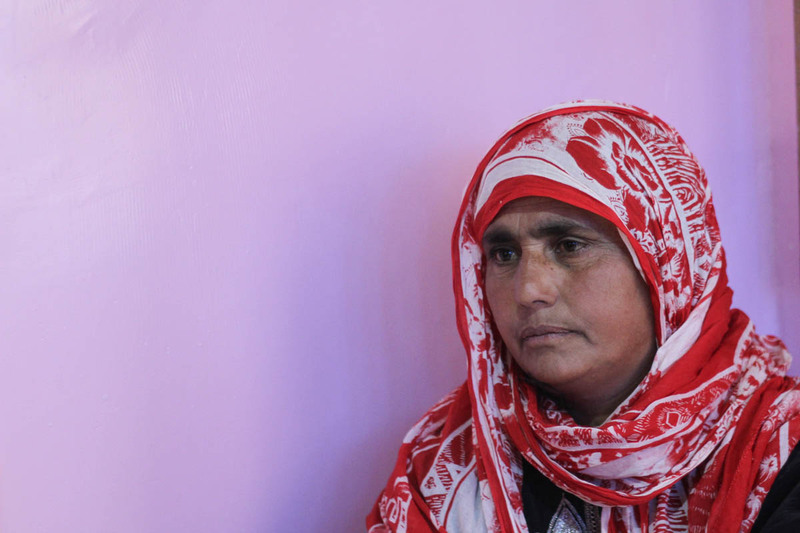 Among those incarcerated in Bahu Fort jail were Rasool Sheikh of Tanki Kadal, Ali Pal, Abdul Qadus alias Qudoo Lala & Sona Shah who died due to the torture. 10. 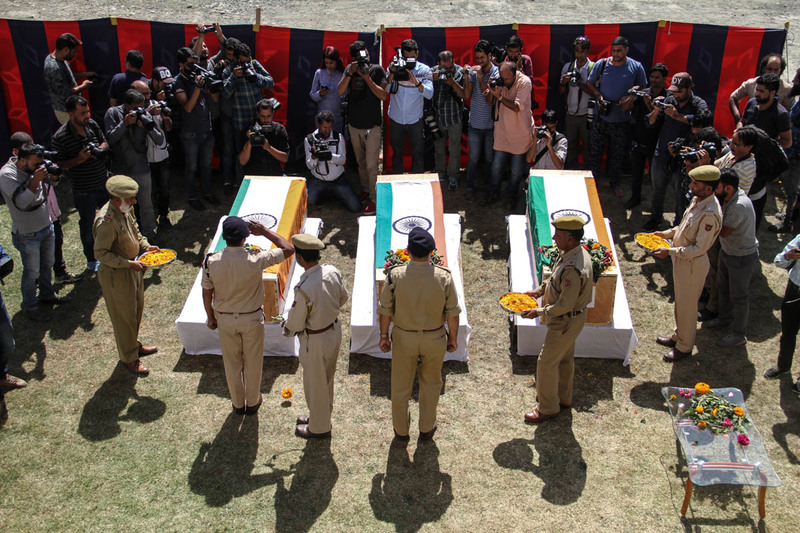 In the history of Kashmir liberation struggle, these unsung heroes of Kashmir are remembered as First Martyrs. 11. Being also, the First Martyrs in the history of labour struggle of the world, they seem to have been forgotten by the State & the world, probably because the event had not taken place somewhere in Europe or America, but in a forgotten landlocked vale of Kashmir. Despite that, no one can doubt, those Kashmir weavers who laid their lives on 29th April, 1865 for sacred cause of seeking justice for labour class deserve to be remembered by all justice loving people of the world who fight for the rights of labour class with equal respect & honour as shown to the victims of Haymarket affair. M J Aslam, Author, academician, storyteller & columnist, Presently, AVP (JKB).